Grantees of certain HUD programs are required to affirmatively further fair housing (AFFH) in their housing and community development activities. Under the new Affirmatively Furthering Fair Housing final rule, issued by HUD in July 2015, HUD grantees are required to prepare an Assessment of Fair Housing (AFH) for their jurisdictions. The AFH, which replaces the Analysis of Impediments to Fair Housing Choice (AI) required under the previous AFFH rule, is designed to allow grantees to more effectively and efficiently plan for meeting their fair housing obligations. For state and local governments, effective fair housing planning is more important than ever in the wake of the U.S. Supreme Court’s 2015 decision on Texas Department of Housing and Community Affairs v. The Inclusive Communities Project, Inc. With this decision, the Supreme Court upheld the theory that housing-related activities can violate the Fair Housing Act if they have a “disparate impact” on protected groups (such as racial and ethnic minorities, families, and people with disabilities), even if intentional discrimination is not occurring. The Florida Housing Coalition is available to assist local governments and Public Housing Authorities (PHAs) with fair housing planning. The Coalition has been ahead of the curve, helping HUD grantees devise goals to expand fair housing choice with innovative land use tools even before HUD issued the AFFH final rule. For grantees that will not be required to submit their first Assessment of Fair Housing for several years, we are able to prepare a “hybrid” Analysis of Impediments that largely follows the template for the AFH, or prepare an update of the grantee’s existing AI using its current format. If your community received $500,000 or less in CDBG funds in Fiscal Year 2015, view this website for guidance on the due date for your AFH. HUD recently extended the deadline for communities with ≤$500,000 in CDBG funds to submit their AFH documents. 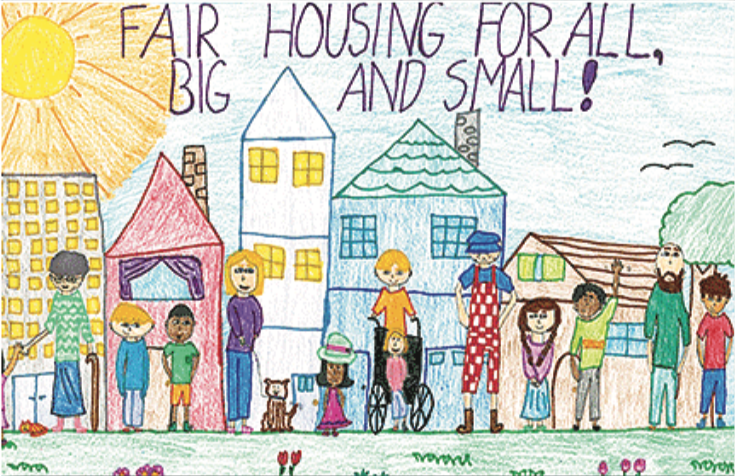 To learn more about how the Florida Housing Coalition can help your community prepare an Assessment of Fair Housing or Analysis of Impediments, contact Kim Spence at 850.878.4219 or spence@flhousing.org.